If you could have a drink with anyone in the theater world, who would it be? Join us on Broadway Bartender, where host Anthony Caporale welcomes Actor and Joe Allen Bartender Chris Rozanksi to the bar! Tune into BeTerrific.com every Monday and Thursday night at 10 PM EST/7 PM PST, and get a behind -the-scenes look at what its like to live, work, and play on Broadway. CHRIS ROZANSKI Chris is a proud Michigander who now calls Astoria home. His favorite cocktail to drink is the muddled Old Fashioned or anything incorporating tequila. 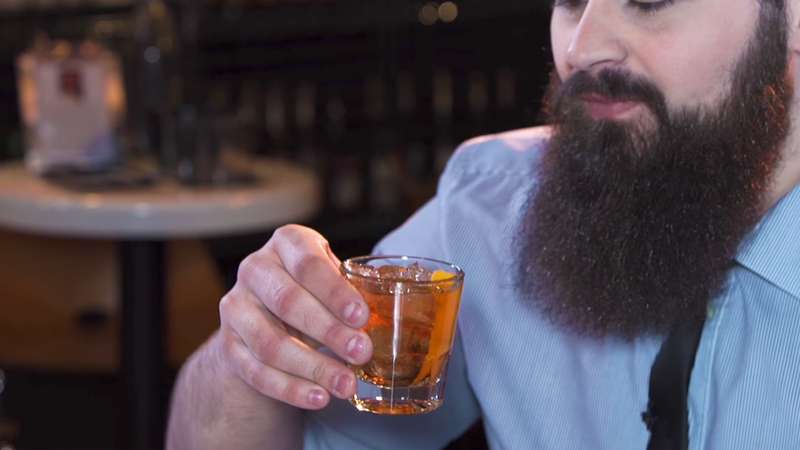 His favorite cocktail to make is any one that makes the guest smile on the first sip. As an actor, he has been seen on tour as the massive dog Mudge in Henry & Mudge and was most recently seen as Lonny in Rock of Ages at the Forestburgh Playhouse. As a therapist who serves drinks, he can be found bartending at Joe Allen Restaurant Wednesday, Thursday, and Saturday nights. Come on in and ask for a "Rosebud"! Since its opening in 1965, Joe Allen has defined the Theater District hang-out. Now, nearly five decades later, it has become one of the most iconic restaurants in America – serving its renowned, reliable fare against the backdrop of its world famous “flop wall.” Every day of the week, Joe Allen and its more intimate sister-restaurant, Orso, open their respective doors to a unique mix of the people who attend the theater and those who make it. At the center of the scene is Joe himself– the omnipresent host of the greatest, longest-running party the theater world has ever known. Shows come and go, but Joe Allen is forever. Stir with a bar spoon to chill and dilute. Strain into a rocks glass over fresh ice.Garnish with an Orange Peel, squeezing the peel to rim the glass with the extracted oils. 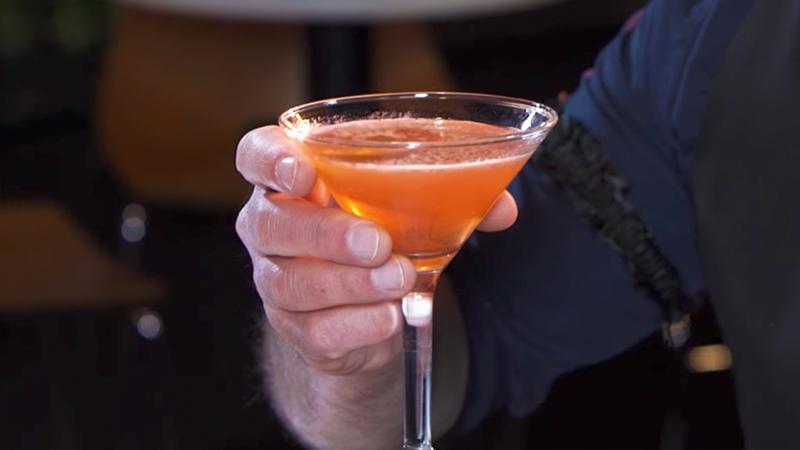 Strain into a cocktail glass.Garnish with an Orange Peel, squeezing the peel to rim the glass with the extracted oils.